Disney Animated Famous Characters... Without Their Beard ! And there are also a few pieces that show us what beardless Disney characters would look like with beards. The series comes from Annie Erskine, via Fashionably Geek. 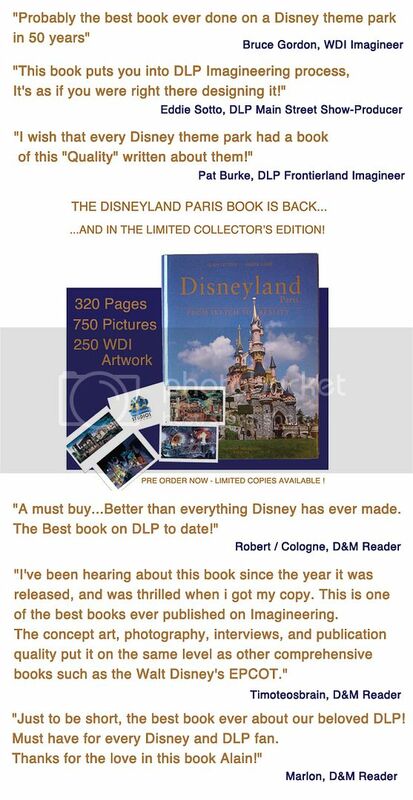 Also, may i remind you that there is only two days left before the incredible promo on the new updated ENGLISH edition of the Disneyland Paris book at 55€ only ends January 1st! Shipping worldwide is only 15€, so go ahead, don't miss this great offer! Haha that's fascinating. It really changes the feelings the characters portray. Aladdin looks evil!